Be flexible on what you think you really need! Though it helps to start with a clear picture of what you want, it’s also important to be flexible that so you don’t miss out on a different type of property that could meet most of your requirements. Suppose, for example, that you’ve set your heart on a stylish Georgian or Victorian townhouse, but then a spacious Edwardian mansion flat comes up that unexpectedly pushes all the right buttons. Too tight a specification and it could easily have slipped under your radar. Going through the process of pinpointing your requirements before arranging any viewings should save a lot of time and energy. The key issues can be divided into those that relate to the building itself, and those concerning the area that it’s in. You may end up balancing one against the other, because living in a posh, more expensive area usually means having to settle for a smaller property, whereas the same budget would get you a larger flat or house in a cheaper, less salubrious part of town. Often the main reason for moving is the need for more space, so the minimum number of bedrooms is often a key factor. This will generally depend on where you happen to be in your life-cycle. Estate agents describe properties by the number of bedrooms, which could be anything from a first-timer bachelor pad with zero bedrooms (a studio flat) up to family-friendly four or more. Of course, you may be downsizing, perhaps following retirement or divorce, with a reduced appetite for space. But having more than one bedroom makes properties suitable for friends buying together, or where letting a spare room is part of the plan. Flats tend to be lower priced, and appeal to first-time buyers, investors and downsizers. There’s often a potential drawback with noise, since you’re in close proximity to adjoining flats, but modern purpose-built units should have been constructed to meet stringent soundproofing standards. Also, poor management and maintenance of blocks can be a problem, and leases sometimes include eye-watering charges – see next chapter. There are two kinds of people in the world – those with green fingers who love gardening and those who’d rather drink poison than spend hours clipping, snipping and digging. But regardless of your leisure interests, if you have children or pets then a decent garden is normally high on the agenda. Low-maintenance gardens can provide the best of both worlds. In some locations properties with attractive gardens can command a significantly higher price. No matter how minuscule your carbon footprint, homes without any off-street parking can be a hassle, unless, of course, the street is generously endowed with parking spaces. This is often a problem even in the most expensive areas, with local councils requiring payment for resident permit-parking schemes. If there’s potential to drop the kerb and provide a space or two in the front garden, this could be worth exploring. Most males harbour certain primitive desires for a garage, a sane place to which to retreat and do stuff that less enlightened folk don’t fully appreciate. But how many garages today are used for their original purpose of housing vehicles? A garage may be a desirable feature, but it is rarely essential unless your neighbourhood is plagued by joy-riders and ‘envy-scratchers’. Off-street parking or an allocated car space is often perfectly sufficient. Properties with integral garages may have potential to convert into extra living space. Or there may be potential to construct a new garage, subject to planning. It’s a matter of personal taste. Some will pay a premium for a brand spanking new home in perfect condition. Others will gladly pay over the odds for a centuries old ‘character’ property radiating period charm, with the feel of ingrained history only found in genuinely antique buildings. We’re all familiar with the failed architectural dream evident in our cities, strewn with unloved, unkempt tower blocks. But fashions change. With good management and maintenance, some blocks have become desirable residences appealing largely to fashionista singletons, the amazing views perhaps ameliorating the ugliness of the architecture. But mortgage lenders are generally very wary about lending on anything that’s more than five storeys high or of non-conventional construction. Some lenders aren’t keen on houses with more than one kitchen, properties built with unusually thin walls (eg sub-standard Victorian rear additions), or even thatched cottages. Buildings with a history of subsidence can also prove troublesome. But if there’s one type to be especially wary of, it’s post-war Council houses, some of which pioneered new ‘non-traditional’ types of construction, such as poured concrete, or pre-reinforced concrete (PRC). However, for the vast majority of buildings there shouldn’t be a problem – unless, of course, the mortgage surveyor notices that it’s visibly collapsing. To get the home we really want many of us will gladly sacrifice the ideal of a house in pristine decorative condition. Indeed, spurred on by TV property celebs anyone with good DIY skills may relish imprinting their personal mark on their new home with a spot of renovation and improvement. Most properties you see won’t be in too shabby a decorative condition, but then again they won’t have the exact kind of kitchen, bathroom or wallpaper that you’d really want. So you could end up refurbishing the whole house – in which case you may as well save some money by buying a really trashy example in the first place. In a slow market, run-down properties command a lot less money, but conversely in a boom people can be willing to pay almost as much for a wreck as for an equivalent house in good condition. It’s also worth remembering that if your vision involves making structural alterations, these inevitably turn out to be more expensive and messier than you first imagined. Thanks to TV property gurus Phil Spencer and Kirstie Allsop there can hardly be a living man, woman or child in the entire country who is unaware of the fact that location is the single most important factor when buying property. In fact deciding where you want to live is often the first decision you need to make. Your choice of area will not only depend on commutability to work, but also on your preferred lifestyle – whether you love the vibrancy of the city centre or feel the urge to move out into the country, or perhaps hedge your bets by settling in the suburbs. In the real world, harsh financial realities can mean having to compromise between property and position. Given the choice of a tiny studio flat in a fabulous area and a period house in a less salubrious district, on balance the temptation may be to opt for the latter, in the hope that the area is ‘up and coming’. But it’s important to bear in mind that one day it’ll be your turn to sell, so it’s always best to avoid obvious negatives, such as properties next to 24-hour takeaways, busy pubs, car repair garages, hospitals and fire-stations. Nearby schools and churches can also prove disruptive, with your neighbourhood being periodically invaded by swarms of car-borne parents/worshippers. Despite what we sometimes proclaim, most of us prefer to live in an area well-stocked with people similar to ourselves. Whether we’re swinging ‘24-hour party people’, young professionals, students or growing families, it’s often the case that like tends to attract like. Occasionally the papers come up with stories of folk who, for the sake of a glorious home, will endure the most gruelling and expensive commutes to work. Living in northern France and commuting to London is not unknown. 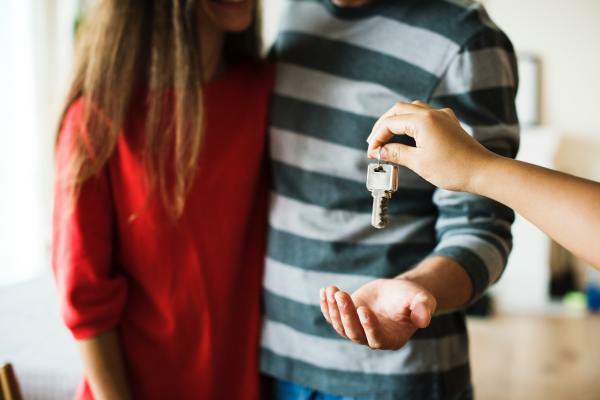 But for most of us, easy access to public transport, or to motorways permitting journey times of an hour or less, are key to the house-buying decision. Having settled on a viable route to work, it’s important to try out the journey at the times of day you will actually be doing it – just to be sure. You know what amenities are important for you. If you’re new to the area it’s worth spending a little time searching online for the availability of NHS doctors and dentists, hospitals, leisure centres, pools and gyms, churches, libraries, pubs, bars and restaurants. From an investment viewpoint, property in prime residential areas tends to appreciate in value more quickly over time than the equivalent real estate located in less expensive areas. So opting for a smaller property in a premium area is normally the better buy, pound for pound. Living in fear every time you pop out to the shops probably isn’t a good trade-off for being able to afford an enchanting property. Many buyers will opt for the relative safety of established residential areas rather than risking collateral damage from drive-by gangster shootings and binge-drinking epidemics. This is partly an ‘age thing’. One person’s perception of a lively vibrant urban area is another’s war zone. But for obvious reasons families tend to take a more conservative outlook. If you’re planning to buy in an area you already live in, you will know how safe it feels and have an idea of the relevant crime statistics. Again, bear in mind that the day will come when you’ll want to sell, and this will be more difficult in a dodgy area. Check crime statistics online. For anyone with a young family, the first question to ask is often about local schools. And as all estate agents know, properties within the catchment area of good schools are easier to sell and command a premium. Parents who are well enough off to pay for a private education for their little darlings may not need to worry about catchment areas. Otherwise there’s the dilemma of whether to buy an amazing property in a cheaper area served by a notorious sink-school, and then worrying that your kids will all grow up to be brain-dead glue-sniffers. Like everything else, the fortunes and reputations of schools can change over time, so if you have ‘inside information’ that a school is on the up, you could be ahead of the market. School league tables can be checked at www.ofsted.gov.uk. On the plus side, you may be able to clinch a bargain and buy a cheaper property in a top postcode area due to its immediate environment. Asking prices will be lower for houses next to busy roads or railway lines, or adjoining commercial or retail property. Those who bought a house by Stansted Airport in the days when it was a private flying club aerodrome may not have minded the occasional de Havilland Chipmunk droning mellifluously overhead. The trouble is, small aerodromes as well as railways and minor roads have a nasty habit of getting busier over time as intensity of use increases. Even previously undiscovered rural backwaters aren’t necessarily safe from thundering convoys of truckers following implausible satnav short cuts. Change can create opportunities, as well as threats. It’s well known that major infrastructure projects, such as train line extensions, can add tremendous value to areas that were once ignored as being off the beaten track. Another way the planning environment can sometimes work in your favour is when a major neighbourhood detraction is due to be taken out – such as where a polluting old eyesore cement works is scheduled to close. But of course, such events can be a double-edged sword because of local job losses. Once upon a time, public enemy number one for insurers was ‘subsidence’. But as climate change has evolved, the risk of flooding has suddenly taken on the role of chief bogey-man. Fortunately, before buying you can easily check whether your house is located in a flood plain by searching by postcode on www.environment-agency.gov.uk. If it is, don’t be too downhearted – the whole of Central London is sitting on a flood plain. What really matters is whether there has been recent flooding and the chance of it recurring. How good is an area? If you’re not familiar with the area you’re thinking of buying in, it’s essential to do your homework. A little online research should tell you enough to be alert to the downside of an unfamiliar area. You can check out schools, crime and Council Tax rates etc on checkmyarea.com or police.uk. But there’s nothing like judging it for yourself. First impressions can be important, but may not tell the full story. One thing’s for sure, the charming estate agent selling you the property won’t be overly keen to divulge details of the local mafia turf wars or marauding girl gangs. To accurately assess an area, it needs to be checked out at different times – at the weekend, at night, and during the week. Quiet suburbs can suddenly be transformed into ‘rat run’ racetracks, choked with gridlocked traffic at peak hours. Nearby schools may attract Mums double-parking and blocking narrow streets with SUV uber-wagons. A nearby pub could be a tremendous boon, but could also be a mecca for armies of boisterous revellers merrily chanting into the wee small hours. Nightlife is great when you want it, but not when you’ve got to get up at 6:30am the next morning. - Do local shops sell the kind of stuff you would buy? - Does the local pub feel reasonably welcoming? - Are gardens well-maintained or strewn with rubbish? - Are any houses boarded up after being fire-bombed? - Count the number of bells on each door – lots of flat conversions can mean parking and noise issues. - Do many houses have commercial vehicles parked outside? - Be nosy – peer through windows (you might be invited in for a cup of tea! ).